Many Republicans, including RNC Chair Reince Priebus, think that it would be a good idea to change the way we award electoral college votes. A state is allocated electoral votes based on the number of Representatives and Senators they have. So Maine, with two Congresspeople and two Senators, gets four votes. In most states whoever wins the state gets all of that state’s electoral votes. Republicans would like to change that to award electoral votes by district, which is currently the practice in Maine and Nebraska. So in Maine one vote goes to the winner of the first district, and one to the winner of the second. The final two go to whoever wins the most popular votes in the state. However, there is a dark side to this idea. While Maine and Nebraska choose their system in a bi-partisan manner, without one party wanting to use a change in rules to rig the election in their favor, plans now are pushed only by the GOP with the specific goal of trying to improve their chance to win the Presidency, even if they lose the popular vote. Simply, the purpose is to undermine the democratic will of the people so one party can get and hold on to power regardless of whether or not they have popular support. That is the kind of plot one expects to see in third world states rather than a country that claims to be the world’s greatest democracy. 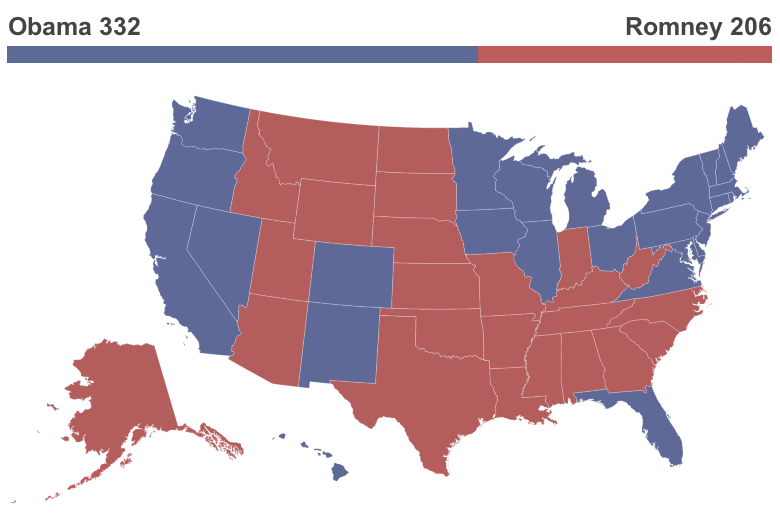 As the maps above shows, even though President Obama easily won the popular vote by a four point margin, with a hefty 332 electoral votes, awarding them by district would have given Mitt Romney the Presidency. Democratic districts tend to be urban and overwhelmingly Democratic – sometimes over 90%, some precincts get no Republican votes! Republican districts in the suburbs and rural areas have a significant number of Democrats, rarely below 30%. Another problem has been gerrymandering. That’s when the party in power redraws the districts with the intent of using district boundaries to make it easier for their party to win. Consider: the Democrats got far more votes for their candidates for the House of Representatives than did the Republicans. But the GOP easily maintained their majority of seats. 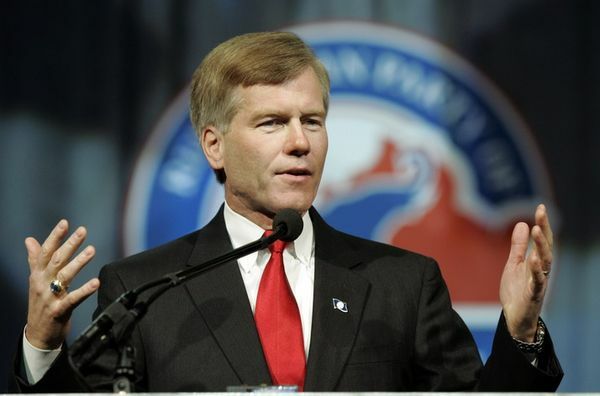 Virigina’s Republican Governor Bob McDonnell nixed the plan – for now. Virginia was the first state to seriously consider changing how it awards electoral votes after the 2012 election. The Republican party there hatched a plan to not only award electoral votes by district, but to give the two extra votes each state has (based on two Senators) to the person who won the most districts rather than to however won the popular vote. That would be different than the Nebraska and Maine systems, and mean that although President Obama won Virginia by 3%, he would have gotten only 4 electoral votes to Romney’s 9! Again, that’s the kind of shenanigans you’d expect in some banana republic. The Virginia plan appears dead for now, thanks to opposition from two Republican State Senators and the Governor, but many said they didn’t like the timing rather than the idea. Wisconsin, Pennsylvania and Michigan are also considering such action – all of it very partisan and with intense opposition from the other side. Those are also “blue” states in which awarding by district would give the Republicans a majority of electoral votes. What would the ramifications of the change be? If a few “blue” states changed their system then it would increase the chance for a Republican to win the Presidency in 2016, even if he or she fails to win the popular vote. But just as the cuts in early voting led to a backlash against the Republicans in states like Florida, the unintended consequences of such a move could hurt the GOP. Democrats would be forced to compete more intensively in areas they now cede to the Republicans. That could ultimately expand the Democratic party and endanger currently safe Republican House members. Beyond that, state politics would be injected with more anger and partisanship. One can imagine that Democrats would undo the changes if they managed to get power, and the issue could make it harder for parties to cooperate in times where problem solving is necessary. It is time for Republican leaders to say that changing the way we elect our President is a serious matter and should not be done on a partisan basis to try to use the rules to rig elections. 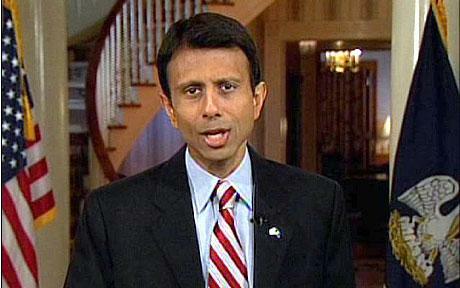 The Republicans should follow the lead of people like Bobby Jindal who recognize that the party needs to appeal to the majority, rather than looking to change the laws in order to grab power. It is a sign of desperation that some Republicans would even consider trying to change the rules so they can win power even if they can’t win vote. It is also an opening for people like Jindal to take the lead and recast the Republican party to be able to compete to win a majority of votes, not just electoral districts. America needs two strong, competitive parties. I have long felt that President Obama is destined to be remembered as one of the great Presidents in US history. He came into office during a crisis, he is governing in a period of intense national and global transformation, and has true challenges to overcome. In his second inaugural address President Obama made it very clear he’s not just looking to defend accomplishments of the past or stop Republicans from undermining social security or medicare. Instead he made the case for moving forward, and tackling problems such as climate change, advancing causes like gay rights, and working to undo the slow deterioration of the middle class as wealth gets every more concentrated at the top. Obama’s speech — and his re-election — might ultimately be remembered as the time when the US shifted from the path of deficits, tax reduction and distrust in government towards a new progressivism, rooted not in ideology but American values. The President’s words, coming after a reminder of the message of Martin Luther King 50 years ago, makes gay rights just as important a civil rights issue as any. Just as you don’t deny marriage, housing, service or care to people on the basis of color, the days are ending when bigotry against gays was tolerated because people thought there was “something wrong” with them. We cannot mistake absolutism for principle, or substitute spectacle for politics, or treat name-calling as reasoned debate. We must act, knowing that our work will be imperfect. 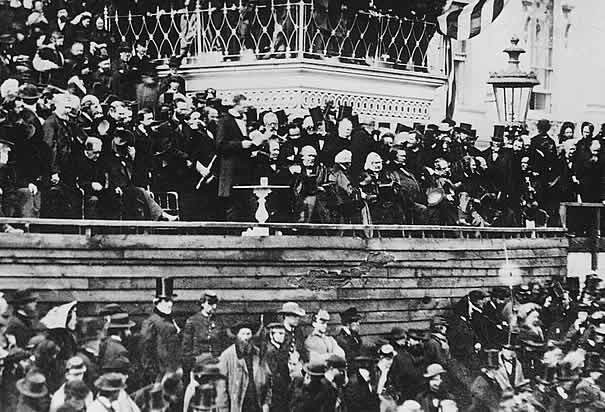 We must act, knowing that today’s victories will be only partial, and that it will be up to those who stand here in four years, and forty years, and four hundred years hence to advance the timeless spirit once conferred to us in a spare Philadelphia hall. A recognition that movement forward will often be slow, and in small steps. That even if we set goals, we cannot get there unless we are pragmatic, and recognize that change builds over time. Some activists see pragmatism or compromise as surrender, a violation of principle. The President is telling those activists that’s not how our nation works. We move slowly, and we always have. Partial victories beget more partial victories, and with issues such as gay marriage change grows until it becomes inexorable. 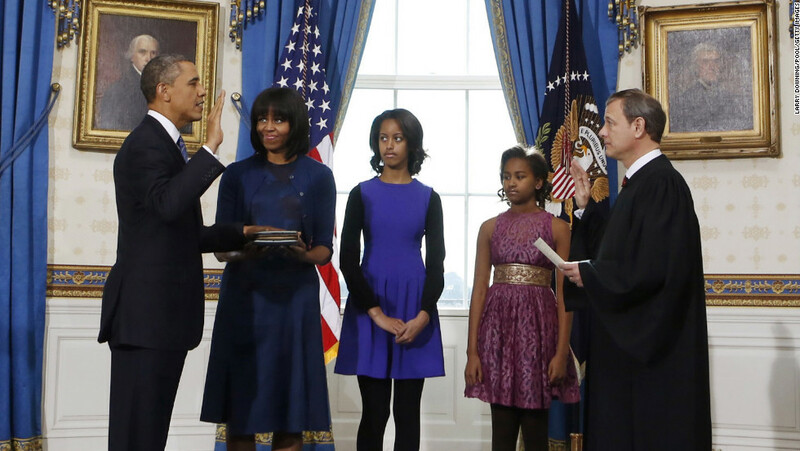 President Obama has the chance to grab the mantel of greatness in his second term. His vision is there, his leadership has been proven effective, and the country is in the midst of transformation. I wish for him the wisdom to make the right call in ambiguous situations, to use the Presidency as a bully pulpit to continue to talk about American values, and to forge a path forward into the 21st century! Tennessee legislators want to make it a felony for federal agents to enforce federal laws involving guns. Rand Paul wants Congress to ‘nullify’ executive orders. Good luck with that Rand – note that Obama has issued fewer executive orders than any Republican President in the last century, but hey, don’t let facts get in the way of your impotent rage. Impeachment is on the agenda of a few Congressmen who apparently want to cause the Republican party to self-destruct. In Wyoming there is also a move to make enforcement of these laws a felony. Then you get the usual caterwauling of people claiming Obama is a Hitler, they’re coming after your guns, the country is going to cease being “free” (eyes rolling). So, all that said, you must think I’m a radical gun control advocate, right? Hardly. I don’t own a gun nor do I want one, and I think that people who need a gun to feel secure are saying more about their own internal state than they are about their actual safety. People who think they need guns so they can rise up against the government some day are simply delusional (remember Timothy McVeigh)? But in general most people who own guns do so responsibly, hunters take safety seriously, and guns are a part of American culture. I do think the reaction by the extremists is rooted in delusion. 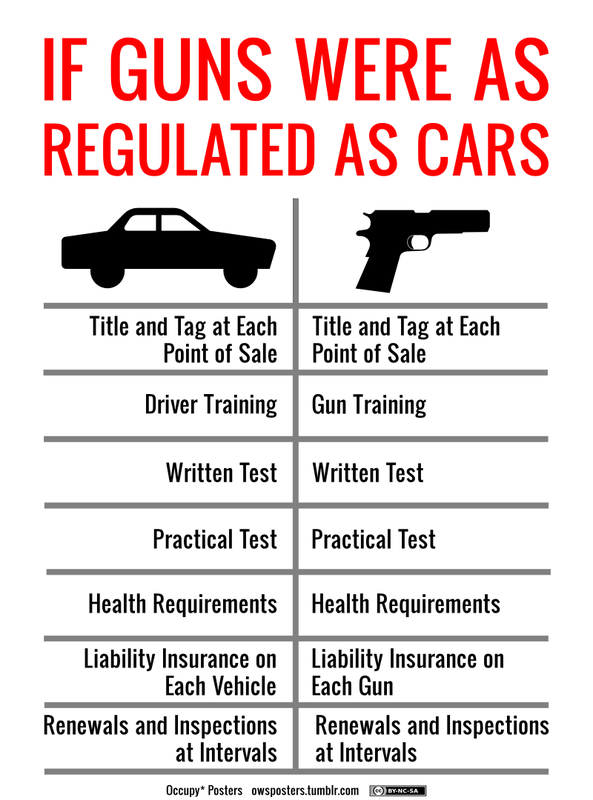 Rather than rationally accepting that gun violence is a problem and that in the rest of the industrialized world gun deaths are very low (and total deaths are much lower to – people aren’t just finding other ways to kill), they fall into a weird narrative about tyranny and Obama’s goons coming to get their guns. There are rational reasons to be skeptical of gun control. A lot of our murders come in places where the causes are socio-economic. Poverty, gang activity, and a lack of effort by the rest of the society to address those problems creates sub cultures where violence, drug use, and crime is the norm. In places like Maine where gun ownership is among the highest levels in the country we are very safe. Not because of guns, but we have a stable and relatively peaceful culture. There are problems of rural poverty – spousal abuse, substance abuse, petty crime, etc. It’s just that the kind of gun violence associated with inner cities doesn’t reach here. So what we need is a sensible discussion. The executive orders people going crazy about are bland. You can read the list here. No gun grabbing, no huge federal intervention on Congressional powers. Many have nothing to do with guns, but with school safety. Some focus on building a dialogue or making cooperation between federal agencies easier. A couple deal with mental health issues. That is why the NRA, now up with an ad that uses President Obama’s daughters to label him a hypocrite (their “logic”: if the President’s family gets Secret Service protection it’s hypocritical not want armed guards in every school) has to be ridiculed and belittled as much as possible. They have jumped the shark. They’re making dubious claims about their membership going way up, and launching threats and attacks against any politician that dares question their extremist orthodoxy. They don’t want dialogue, they don’t want to admit that gun availability might cause more gun related crimes and deaths, they’re taking an ideological stand and trying to pretend it’s about liberty. Gun owners, don’t fall for this! Don’t fall into the trap of thinking that people wanting reasonable gun control legislation are would be Nazis ready to grab full power. 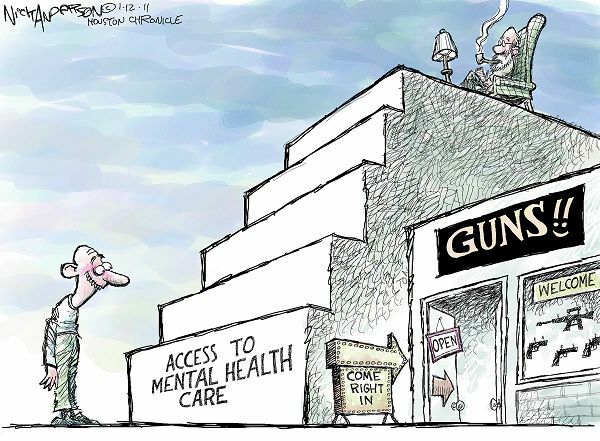 Even if the President’s legislative proposal were adopted as is (which is not going to happen – if something passes it will be a compromise) the US would still have the loosest gun control laws of the industrialized world. Most gun owners would not be affected one iota. And maybe gun control legislation isn’t a good idea. Maybe we need to approach the problem from a different direction. I don’t know. But we need dialogue. We need to be reasonable. We need to accept that there are sound arguments on each side, and that most people are neither gun nuts nor gun haters. Dump the hyperbole, reject the delusion that the US government is turning into a tyranny or that Obama is somehow a would be Hitler. Replace emotion and fear with logic and evidence. Yet if the NRA and other extremists continue their over the top hyperbolic rants and tirades, it’s no use reasoning with them. Mock them as ridiculous and absurd. Weaken their public image. Then find people on both sides who are willing to talk and listen to each other. 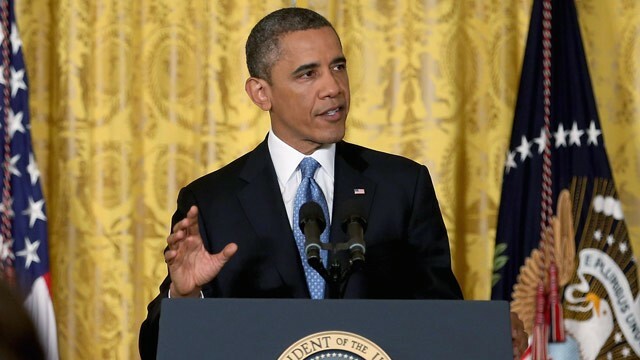 President Obama has effectively cast the debt ceiling issue on his terms. Raising the debt ceiling is necessary to prevent a series of catastrophic economic outcomes that could push the US back into recession, make total debt even higher, and put at risk social security payments, veterans benefits and other important services. Republicans are split on the issue. The hardliners don’t care – they just want to cut spending. But even moderates want to find some way to leverage their control of the House into forcing the Democrats to bend on spending. They thought the debt ceiling would be the way to do it, but increasingly the politics around it is forcing them to back down. But that will be very bitter medicine for the right wing of the party, especially after having failed to prevent tax hikes on the wealthy during the fiscal cliff negotiations. John Boehner is a smart man. He understands the issue enough to know it would be irresponsible to let the US default — most of the business community would be angry if that were to happen, and they represent a core portion of the Republican constituency. But he also knows that he has to appease the hardliners. Here’s what I expect: The Republican leadership will decide, perhaps as a sudden surprise, to simply punt on the debt ceiling. They know that not only does he now have the issue framed on his terms, but the State of the Union address gives him the ultimate bully pulpit. He’ll set the narrative, it’ll be hard for the Republicans to react. At the same time they will call for negotiations to begin immediately on finding spending cuts. 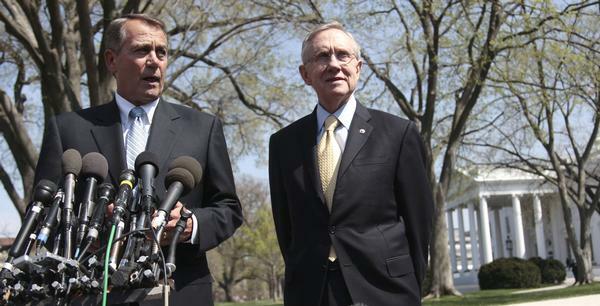 They’ll say that they are showing their good faith by raising the debt ceiling, and thus expect President Obama and Senate Majority Leader Harry Reid to show an ability to compromise. If they don’t, they will warn, do not expect a continuing resolution to fund the government to be passed by the March 27th deadline. In other words – threaten a government shut down. 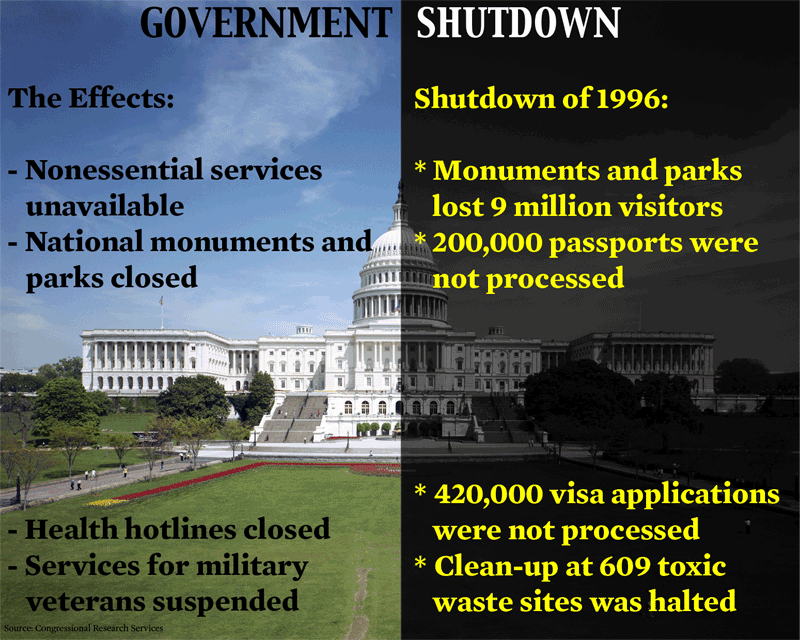 Since 1981 there have been five government “shutdowns,” but the first four were hardly felt, except by federal workers. Two lasted a day or less, the third took place over Columbus Day weekend. The last time this happened was between December 16, 1995 and January 6, 1996 (and earlier between November 14 and 19, 1995). 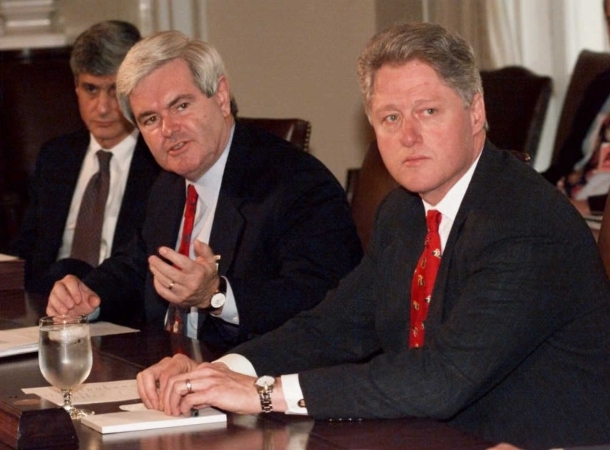 Bill Clinton was President, and Newt Gingrich was Speaker of the House. Gingrich had also threatened not to raise the debt ceiling, but realized the Republicans could not risk the US defaulting. The shutdown was seen by many as helping President Clinton recover from low approval ratings and win a second term. Newt Gingrich believes it was instrumental in pushing Clinton to compromise with Republicans to balance the budget. To be sure, the shut down cost money, nearly a billion extra dollars. A shut down itself doesn’t save money, even if its used as leverage to get the other side to agree. Speaker Boehner and Majority Leader Reid would ultimately need to get their caucuses to approve any budget deal to avert/end a shutdown. * Passport and visa applications will be delayed, with the backlog continuing even after government is up and functioning. As inconvenient as all that would be, it would be nothing like the devastation of a default. It would be a high stakes drama, but one we could recover from quickly. Unlike the debt ceiling, President Obama could embrace negotiating to help pass a continuing resolution to keep the government running. It would provide the leverage and drama House Republicans want without the economically suicidal path of preventing the country from paying its bills. Moreover, having won on the fiscal cliff and debt ceiling, President Obama would have cover for compromising on some issues dear to progressives. Moreover, House Republicans loathe to compromise about anything would have the real ramifications of a shut down staring them in the face. It’ll push them to compromise as well. So if you need a passport, apply sooner rather than later — because while I don’t think Republican leadership is irresponsible enough to not raise the debt ceiling, they aren’t going to give up on their core issue of cutting the deficit. So don’t be surprised if in just over two months the crisis du jour is a government shutdown. The idea that a new year represents rebirth, renewal and change is on its face silly. Every day is a new day, the year is just a human construct, making days numbers and delineating them in an arbitrary fashion. The idea that this is a time for resolutions and transformation is irrational – it’s just a new day, like every day. Yet perhaps we shouldn’t be so quick to dismiss that ideal of a new beginning. Yes, every day is potentially a chance for rebirth and renewal, but usually we squander those opportunities, living hypnotized, following the same routines. Instead of asking what would make life truly joyful, we check off our “to do” lists and take care of the mundane tasks at hand. And that’s OK – life is a series of moments and we need to shop, cook, clean, work, and take of things that just need to be done. Yet we can do those things thinking the mundane is life – that life is about making money, paying bills, achieving success and consuming products. Or we can work through the mundane with a higher ideal in mind – happiness, love of both nature and others, and a sense of magic. The world unfolds for us, we just have to trust it. So my resolution for 2013 is simply to live awake. To try every day to look out the window and see nature as magical and beautiful. Not to get used to it or take it for granted. To feel blessed to live in foothills of western Maine, a place of pure beauty. To be sure, the wide open plains of South Dakota, where I was last month visiting family, has its own magic and beauty as well. Wherever one is, one key to living awake is not to take nature for granted. To be true to myself. We humans are our own worst enemies, we repress who we are, we say what we think others want to hear, we distrust our ability to simultaneously be true and be accepted. We conform. We decide that our dreams are silly or unobtainable. We settle for a life less than we could have. It’s not that we humans are stupid. We settle because it’s comfortable. It’s easy to conform, to go with what others want, to push aside youthful ambitions and dreams of happiness. We replace those with stuff – or perhaps with societal approval of us as successful. Prestige replaces joy. To be normal is safe, to conform is to be comfortable. And then we slowly stagnate. Please read this “comic”. It is a powerful comparison of two good women who choose different paths. One was true to herself, one conformed. The price of conformity isn’t always so high – and there is nothing wrong with being like others if one is at the same time true to oneself. But too often we drown our inner voice and make choices out of fear of not fitting in or somehow missing out. We fear lacking income, making others mad, or ending up alone. Fear can’t guide life, to be truly happy one must be true to oneself. We need to trust our conscience and inner voice, even when it goes against what most people seem to be thinking and doing. And that is my resolution for 2013. To live awake, to listen to the voice within, to live true to myself. Notice anything interesting about this map? The US is in a lighter shade of blue then New England, which is off colored and unlabeled. 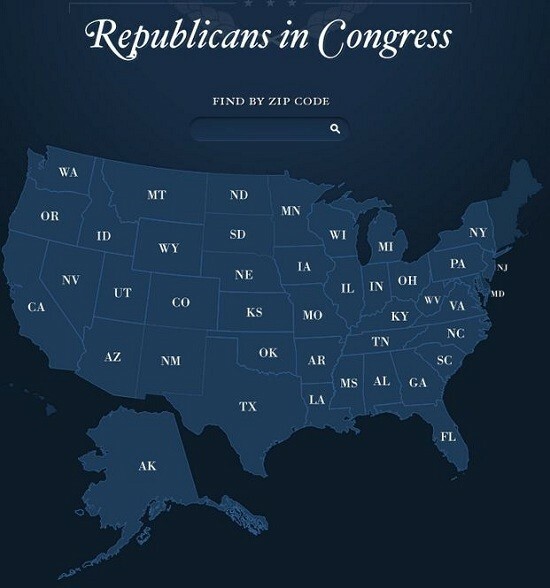 This map is from a Republican guide to finding one’s Senators and representatives. To the GOP New England appears to be persona non grata. Indeed, with a few exceptions (Senators from Maine and New Hampshire) the region has become very Democratic. New England along with the upper Northwest were the only regions where white males supported Obama in the election. Not only that, but New England Republicans are distrusted in their own party. They are often pro-choice, moderate and labeled RINOs (Republican in name only) by ideological conservatives. Maine Senators Collins and Snowe voted to acquit President Clinton after his impeachment, breaking with their party. 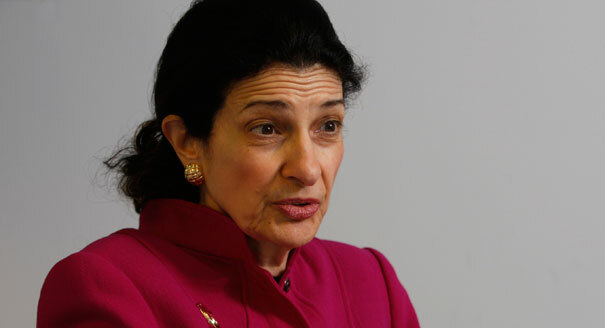 Senator Snowe’s retirement this year was in part a reaction to all the anger and partisanship that has overtaken the Senate. Yes, Maine has a tea party governor, but that’s only because of a three way race in which 39% could win. This is interesting because New England does not fit the usual left-right demographic patterns. Maine is the most white and least diverse state in the union. New Englanders are pragmatic and rather conservative. But there is one thing that sets the region apart: ideology is distrusted. Here in Maine the tea party governor couldn’t get his fellow Republicans to impose a true conservative agenda when they had control of both houses. Instead they continued the tradition of trying to build consensus, often angering Governor LePage. I supported President Obama, but voted for many Maine Republicans – it’s not good vs. evil here! It’s a part of the pragmatism – a sense that the difficult problems we face can’t be addressed by looking to fancy theories and ideologies, but by compromising with a goal of solving problems. In that New Englanders are more conservative than many Republicans who have a radical ideological world view – to implement ‘true capitalism’ or some other ideologically motivated “solution” to our problems. Ideologies are seductive. The present truths in simple terms and make seem like all you have to do to solve our problems is follow the ideological precepts. People who want to be right, who don’t want to deal with complexity and uncertainty, often find ideologies very comforting. They are a kind of secular religion, you can interpret the world through an ideology and avoid cognitive dissonance. As Communism demonstrated, people can cling to ideologies even when it’s absolutely crystal clear that the evidence proves them wrong. Ideologues can ignore reality because its so complex that you can always find some other reason to explain what went wrong. Communist ideologues blamed the West or others for making the ‘path to socialism’ more difficult. Capitalist ideologues embrace the market, and find reasons to dismiss evidence that shows markets can be inhumane and corrupted when not regulated. I don’t think Republicans or Democrats outside New England are all ideologues. Rather, media plays a role to socialize people to embrace ideological thinking by creating a narrative that makes it seem natural. Powerful corporate actors like the “Club for Growth” use money to manipulate the process and create an ideological political climate. The classic example of media narrative is the last election. On the right there was a widespread belief that Romney would easily beat Obama this year, a belief held by even people high up in the Romney campaign. The narrative seemed logical: the polls over sample Democrats, Obama’s supporters aren’t as enthused, Republicans are angry and want Obama gone, the 2010 spirit still exists, the media is overstating Obama’s chances because they like him, etc. If you looked at the evidence it was pretty clear that those arguments were weak – that the expectation had to be that Obama would win. However, FOX news, talk radio, conservative blogs, and media outlets on the right stated that case over and over like it was a fact, and then added that the mainstream media was untrustworthy, in the pocket of Obama and even trying to demoralize the right. In other words, rather than rationally analyze the narrative, they found excuses on why not to take the counter arguments seriously. This happens on many issues – climate change, taxes, the economy, guns, terrorism, the debt ceiling. There is an ideology-driven understanding of reality that is spread by talk radio, FOX, and a host of blogs and pundits that is designed not to analyze a perspective but to promote and defend it because it is deemed true – the ideology is unquestioned. This penchant for ideology-based understandings of reality is destroying the Republican party. I do not believe John Boehner or Mitch McConnell are ideologues, but they are held captive by the fringes of their party. Moreover, there are signs many on the left want to emulate the ideologues on the right by embracing partisan war. That has to stop. It is time for pragmatism, pragmatism is the enemy of ideology. Ideologues claim they are embracing principle, but that’s an illusion. They are embracing simple rules. Reality is complex and simple principles don’t work. Context matters, it changes the meaning of every act. Ideologues left and right will use terms like freedom, social justice, equality and even peace to give their causes the air of moral authority. But beware any theory-driven understanding of a complex reality, and beware of those who interpret everything through their ideological lens rather than comparing and contrasting different perspectives. Pragmatism is messy, but it’s the only way forward in difficult times. Are these chickens life forms, or just a commodity? I’ve always had a very logical argument as to why I am not a vegetarian. Vegetables are living entities just like animals. They feel in different ways, experience the world in manners we cannot comprehend, but they are life forms just as we are. Since in the animal kingdom it is natural for creatures to eat both plants and animals, there can’t be anything inherently wrong with eating meat. A cat could never become a vegetarian and survive, for example. As long as we do not over-indulge, eating other living entities, plant or animal, is natural. Lately, though, I am rethinking my argument. Not that I’m doubting the logic, but there is another factor to take into account: corporate farming. Consider: In the Laura Ingalls Wilder book Little House in the Big Woods, Pa butchers a pig that they have been raising for some time. Every part of the pig is used, Laura and Mary even use the pig bladder as a balloon. Plants are sown and reaped, tended to by the family. In one book a locust attack ruins the harvest, such were the risks of life on the frontier. That seems a healthy relationship between humans and nature. You may eat the plants and animals you raise, but you raise them with care. Certainly you should not be cruel to them. The food tasted better too – most of us will never know just how good natural food tastes. This year many things are changing in my life, I feel like I’m entering a year of personal transformation. One change is to stop closing my eyes to ramifications of how I eat. I plan to think about where the food comes from, buy local, and move away from fast foods and the chemical laden processed foods that are so easy and convenient. I was thinking about this as I walked through my local grocery store, seeing the packages of meat and vegetables, processed and ready for sale. Everything designed to entice you to buy; packages with idyllic farm scenes or products labeled “organic.” The bananas had a sticker that said “no cholesterol.” I’m glad they told me! It’s all marketing. Then I look at the shoppers, behaving much like I have always behaved. Looking at different foods, picking them up, dropping in them in the cart. The intercom switched to the song “King of Pain” by the Police. I forced an ironic smile. When I teach about the rise of fascism in Germany I try to explain it in a way that most people in the class end up admitting that if they lived in Germany in 1936 they’d probably have supported the Nazi government. The reason you can get something like fascism is that the culture accepts as natural and mundane that which should be condemned. It’s normal to eat genetically modified food. 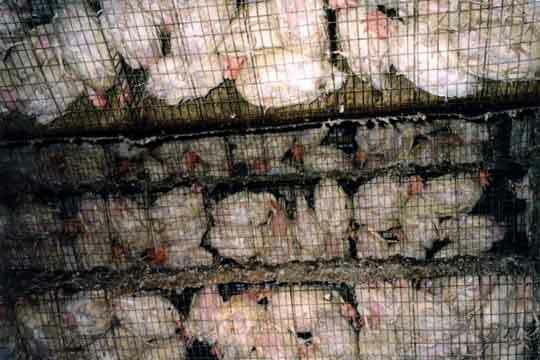 It’s normal to eat animals who have lived in ghastly conditions, genetically manipulated to increase profits. Assembly line cars, assembly line chickens. The fact they are alive is irrelevant, profit comes first. 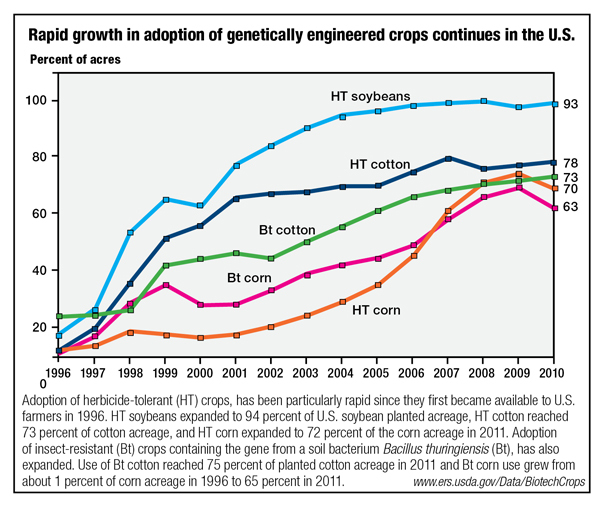 How cruel are we to the plant kingdom when we manipulate every crop, altering the very nature of the environment. 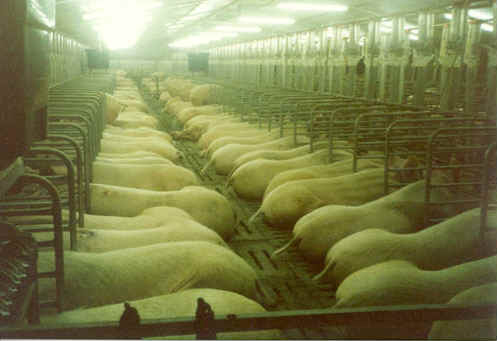 Farming itself is a violent act, taking the free form of nature and forcing an order to it in order to feed ourselves. But that’s the same kind of violence that a lion undertakes when he cuts down and devours a zebra. It’s part of who we are, it’s what we need to survive. We have brains that make it natural for us to move beyond hunting and gathering. I can’t help but think that in a generation or two people will look back and see us as barbaric and ignorant. They’ll look at how factory farms treat animals, the way big corporations play with plant genetics and our penchant to not give a damn about nature if we can make money by manipulating it. They’ll wonder how we could have been so brutal. But to us it’s normal. We don’t think about it. We’re good consumers, programmed to spend and to believe that Monsanto’s main goal is to end world hunger and that the chickens who will make up our McNuggets are happily scampering around the coop as a loving farm girl throws them seeds. So I’m going to shift towards farmers markets, local food, and try to stop my long running contribution to the cruelty being undertaken against plant and animal. There are many family farms struggling to get by, working hard and treating their animals right. I want to give them my business, as much as possible. Ultimately, that cruelty is really directed at ourselves because everything is connected. Such is our culture – close our eyes, mock those who think differently and see the world as full of objects to use for our own self-interest, no matter how much damage it does to the planet – to the humans, the animals, the plants, the atmosphere, the land and sea. But I believe we are connected. Every bit of cold cruelty that we engage in or enable comes back to bite. And every bit of love we share or show returns in time to empower. UPDATE: The comment from La Kaiser below suggests that my post may read as too broad. There are a lot of family farms here — the Daku dairy farm just up the road, Sandy River Farms that have their own store, and Marble Family farm, to name a few. These are the good guys! People struggling to produce quality food. I’m concerned about the mega-corporations that look only at the bottom line and are removed from the process. I hope that the practices shown in those images are more rare than common, but I fear that as the mega-corporations grow, it’ll be all about money.